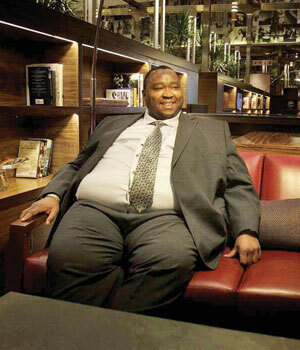 Johannesburg - The controversial business tycoon Khulubuse Zuma owns an oil fortune of R100bn in the Democratic Republic of Congo ( DRC ) which he allegedly acquired through the help of his uncle, President Jacob Zuma. An investigation by sister publication Rapport has found that the president played a vital role in the decision by DRC President Joseph Kabila to award two oil fields in the northeast of his country to Khulubuse in 2010. Eight months before Kabila's decree, in which Khulubuse was awarded two of the most prestigious oil licences in sub-Saharan Africa, he met with his South African counterpart in Kinshasa where the oilfields were allegedly discussed. A high-level intelligence source with knowledge of the relationship between the two heads of state said the meeting in September 2009 occurred while Zuma was on a state visit to the DRC. According to the source Kabila told Zuma that the untapped oil fields should be used to the benefit of "South Africa, the ruling party and even (the Zuma) family ". The intelligence source said Zuma did not accept Kabila's invitation to personally benefit from the oil fields. However, shortly after Khulubuse appeared on the Congo oil scene. Six months after the Zuma-Kabila summit Khulubuse established two companies in the British Virgin Islands. A month later the two companies, Foxwhelp and Caprikat, signed a joint contract for the production of oil with the DRC government. Khulubuse said this week that he is not the one that has to respond to alleged discussions between Kabila and his uncle over the oil fields. Neither Kabila nor the presidency responded to inquiries. Khulubuse said through his media adviser, Vuyo Mkhize, that as a rule he does not discuss details of his business dealings with the president (Zuma). On a question about the value of the oil fields and Khulubuse's share in them, Mkhize said at the current oil price the oil fields are worth R100bn. He did not want to elaborate on the value of Khulubuse's shareholding. According to a DRC official Caprikat and Foxwhelp paid $6m in "management fees" for the concessions.